This weekend we visited the David Fleay wildlife park. 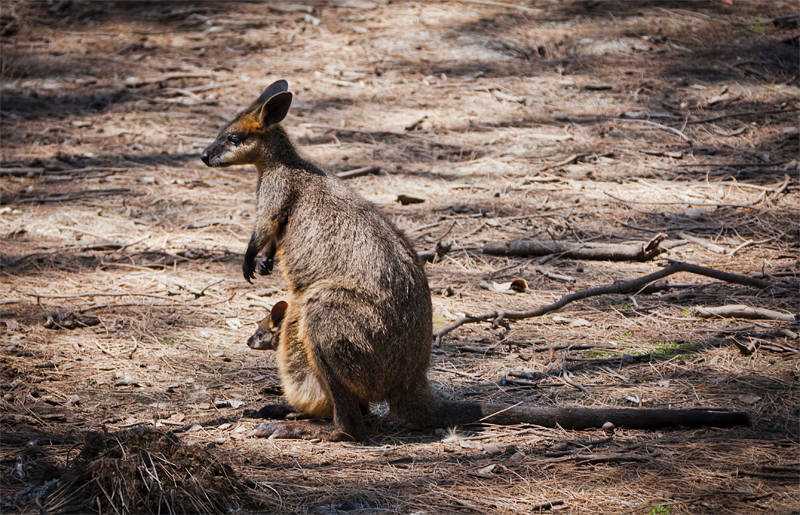 We saw our first platypus and this swamp wallaby. Both are Australian animals found along the east coast of Queensland, New South Wales and Victoria. It’s time that baby started walking/hopping for itself. The poor mum is nearly toppling over.